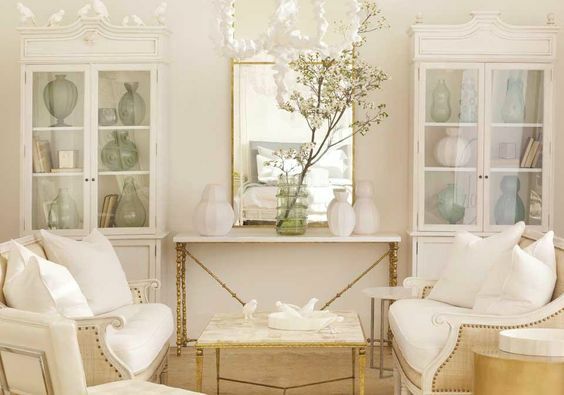 I have always considered myself someone who loved a mostly antique room when it came to decor. I’ve never been into sleek modern looks, metal, plastic, or even leather, no matter how “hot” it got. I have never liked “modern”, most especially mid-century. And that has not changed. I think because I grew up in a house full of mid-century modern furniture, it just doesn’t speak to me. However, I am realizing that I really gravitate to a room that has a piece of something modern or contemporary in style in the room. 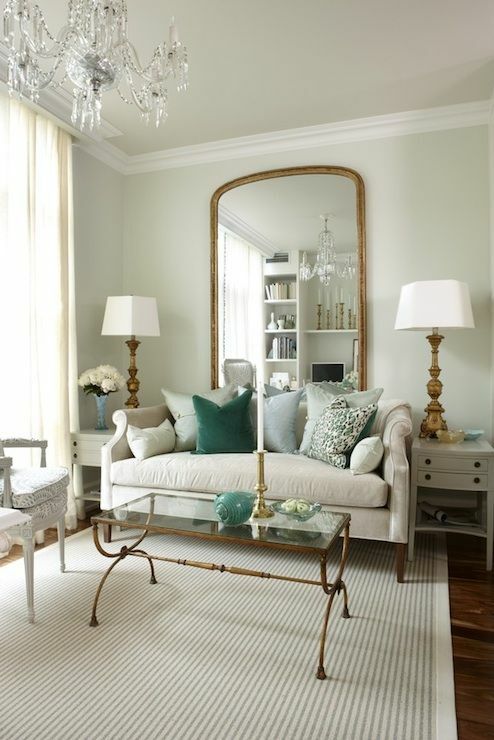 Whether that be the sofa or just one table, I love the idea of at least one piece of furniture in the room having really clean lines. I think a room full of antiques, and only antiques, can start to look a little fussy. Even, dare I say it, when it’s a room full of French antiques. If one clean-lined piece is added, it adds depth that just isn’t there otherwise. And I really mean one. If there were more, at least for me, that would be too much. I want the the room to still have that antique soul, but with a little edge. Ironically, this is one of the oldest tear sheets I have from a magazine. This is 2005 from Traditional Home, and in my opinion, looks as good today as it did a decade ago! 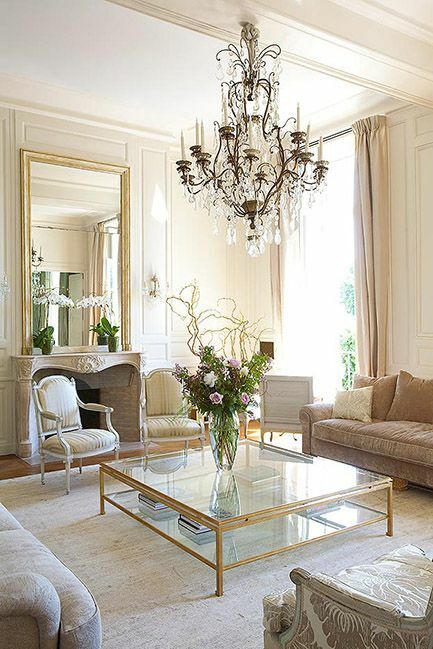 It has French antiques, urns, and a Trumeau mirror, but to break up all that tradition, they threw in that contemporary glass coffee table. Still love it. 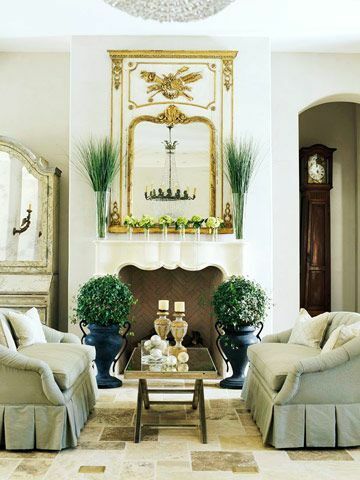 Interior by Victoria Hagan; love this little gold table with all the gilded antiques. Another living room I have a tear out of from a long time ago (Amazing how all the houses I’ve loved turn up on Pinterest!) 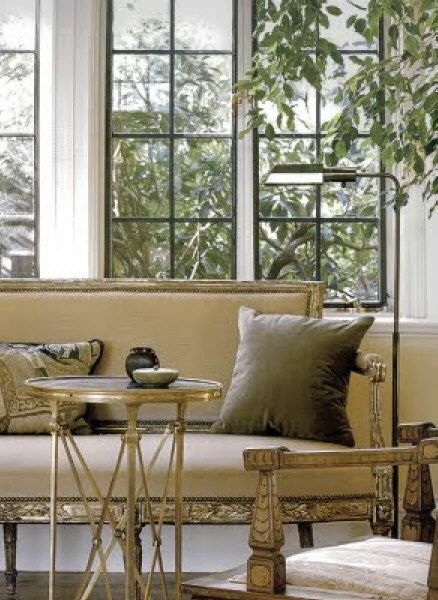 This living room has a beautiful antique setee and a very elaborate gold, scrolled console table but mixed in there (and only shown a little on the right) is a very simple gold and glass coffee table. 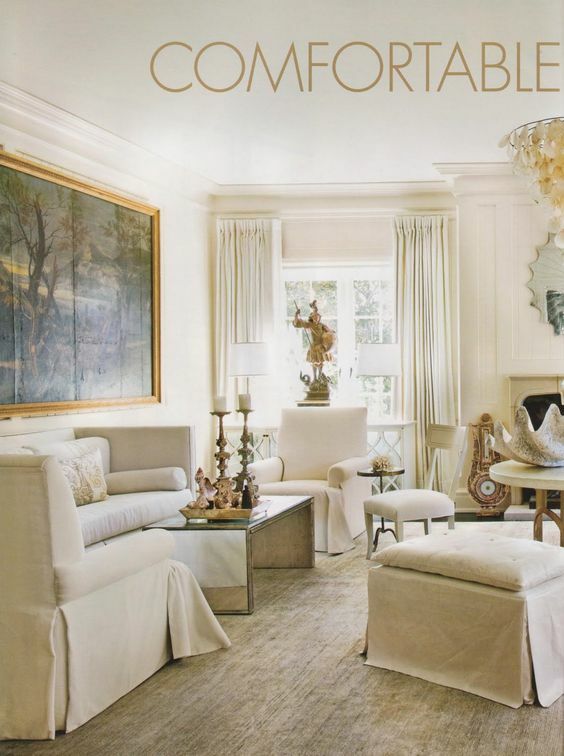 Modern coffee table here mixed with antique chairs and tables. Here Loi Thai of Tone on Tone Antiques adds dimension by also using a dark metal contemporary table mixed with all of his pale Swedish antiques. Here Gerrie Bremmerman – yes, even she! adds a modern chair for flair and interest. Love this ultra modern table with very elaborate candlesticks on top. I think the candlesticks actually stand out more here, and look better, than if they were placed on an equally elaborate antique table. 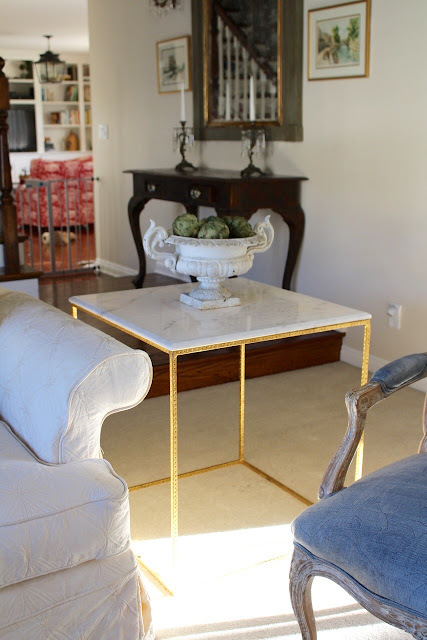 Love this low glass and gold coffee table with the Bergere chairs and lovely antique mantel. 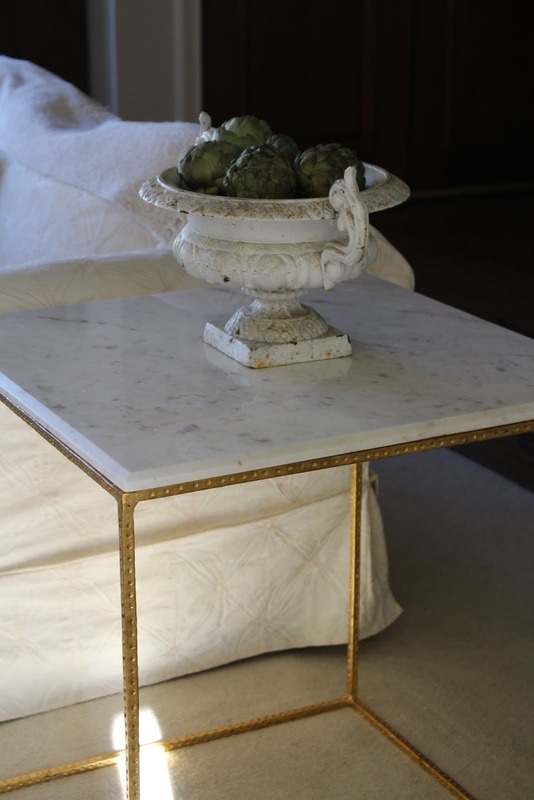 Here two different marble and gold tables with clean lines are used in an all-white, mostly antique room. I’ve been looking for antique coffee and side tables for quite awhile now when it dawned on me that all of my inspiration pictures have some sort of modern piece in the room. So… I bit the bullet and ordered a square gold and marble table from Wisteria. It came yesterday, and I love it! However, (isn’t there always a “however” when it comes to catalog ordering?!) now I’m thinking that perhaps I should have ordered it in the coffee table size. 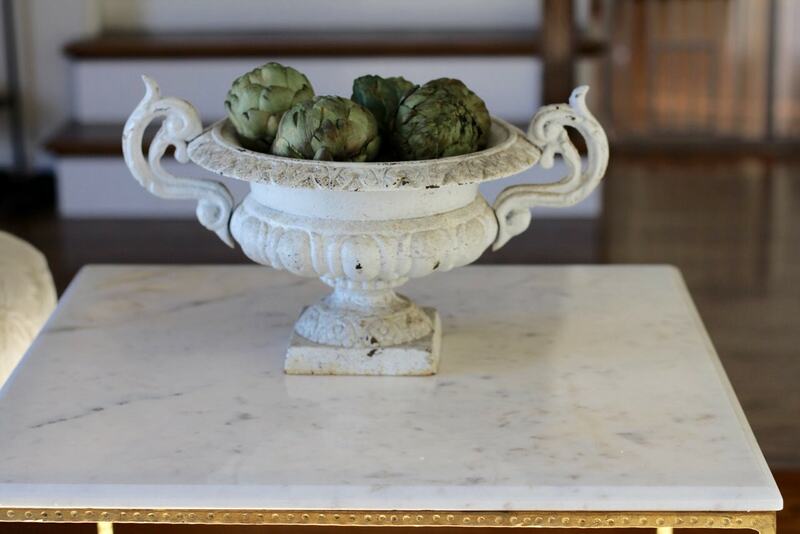 It’s extremely difficult to find antique coffee tables (impossible, actually! ), especially ones that are a decent size. So I’m thinking if I switch this table out for the coffee table, I can then find an antique side table of some sort rather easily. The only thing that’s not easy is the exchanging/re-packaging/paying for shipping that goes with the exchanging of an online item! Here is the end table as it stands now….. Thanks so much Shellie! I appreciate it! Mixing styles is my favorite way to decorate. Great selection on the side table! I agree!! 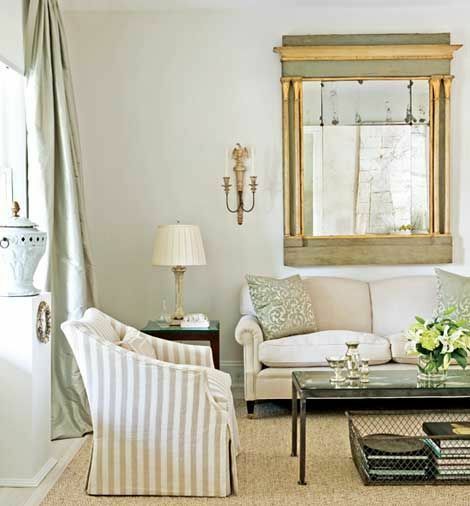 Mixing in one or two contrasting pieces really adds visual interest to a room. Thanks for adding your stylish post to the Thursday Favorite Things Blog Hop…these have all been pinned to our group Pinterest board. See you again soon. Can't wait to see the new coffee table. Great images, too. Thanks so much girls! Indeed, I have decided to switch out the side table for the coffee table. I think it will be perfect in the room! 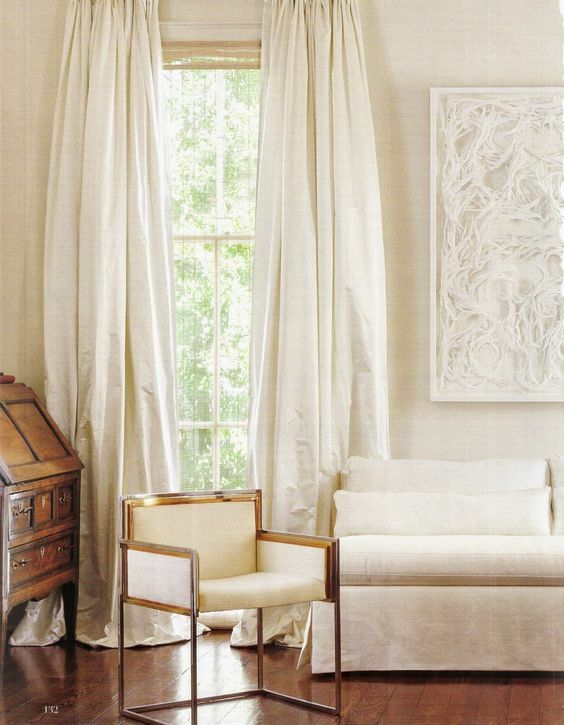 I love the way one simple piece in a room of antiques enhances the room. Juxtaposition at its best. I love your new table but I think you're 100% right in your instincts. It would be a beautiful coffee table and you would then have the fun of searching for a wonderful antique side table (an easier and less expensive find). I posted on IG… Love the table but LOVE it for a coffee table … Anchoring the room. 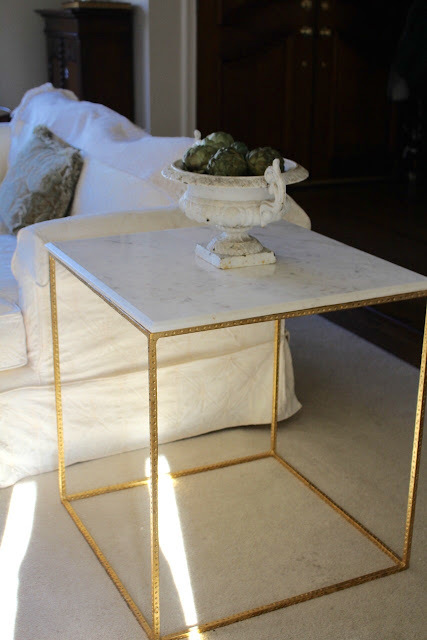 Then finding a smaller softer side table or nesting tables. Just my thought…Cant wait to see what you do! ?